OAKLAND — Gov. Gavin Newsom is halting the California National Guard’s deployment at the U.S.-Mexico border, framing the pivot as the state’s latest repudiation of President Donald Trump. “This is our answer to the White House: No more division, xenophobia or nativism,” Newsom plans to say, according to prepared remarks. But Newsom is citing Trump’s recent move to send another 3,750 troops to the border as a reason to redeploy the Guard. He said Guard members will be shifted to helping with wildfire suppression and bolstering drug enforcement. It also breaks with former Gov. Jerry Brown, Newsom’s predecessor, whose monthslong mobilization of the state’s Guard divided California Democrats given that it came at the request of — and with funding from — a widely loathed Trump administration. A few months into the deployment, as the Trump Administration’s zero-tolerance policies were fragmenting migrant families, Democratic state legislators called on Brown to recall Guard personnel or risk being “complicit” in “inhumane, disorganized and immoral” policies. Now Newsom’s decision to halt the deployment seems certain to stoke more animosity between Newsom and Trump. 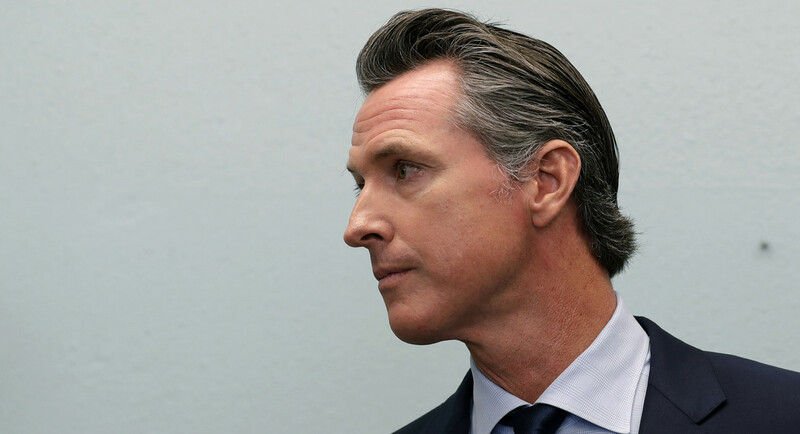 It follows the president extending an olive branch by saying that Newsom “was very respectful as to my point of view” when the two spoke recently about California’s recovery from a series of devastating wildfires. They met for the first time when Trump traveled to survey fire-scarred parts of the state in November. Will there be a peaceful transfer of power in DRC?